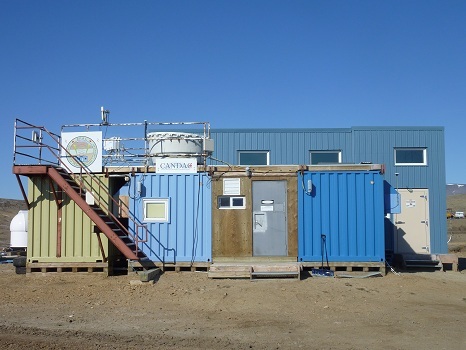 Facility and Environs: The Zero-altitude PEARL Auxiliary Lab (0PAL) is located in the northwest quadrant of the Eureka Weather Station site (79°59'25.40"N 85°56'19.90"W). 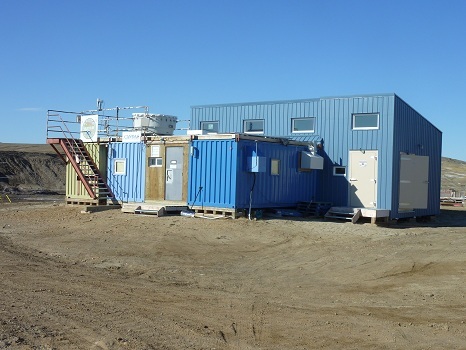 Construction of the facility began in 2005 and currently consists of 4 shipping containers modified specifically for instrumentation interconnected by stick-built office, storage and work space and a separate unmodified shipping container for cold storage. Internet connectivity is provided over a microwave link to the Ridge Lab. Instrumentation includes a Millimeter Cloud Radar, VHF Meteor Wind and Temperature Radar, Raman Lidar, Ozone Lidar, Microwave Water Vapor Radiometer, and an Extended-range Atmospheric Emitted Radiance Spectrometer. A Cimel Sun Photometer is operated seasonally. 0PAL also supports instruments not located in or on the facility including the Star Photometer and Environment Canada’s Precipitation Suite of instruments. A High Spectral Resolution Lidar was run at the site from 2005-2010.